First, make sure you backup your Sensation or Sensation XE, as the update will wipe your settings, messages etc. 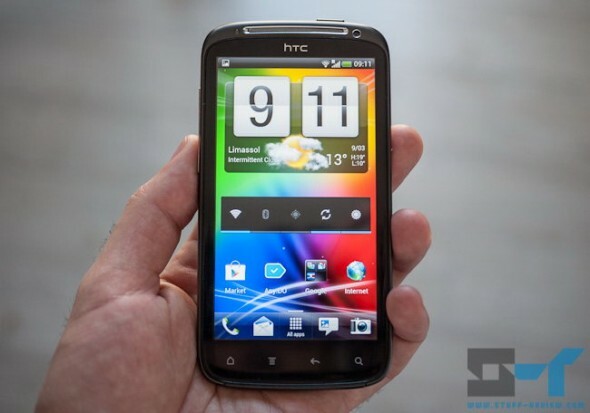 For the European HTC Sensation download this file and for the HTC Sensation XE this one. Make sure your device has more than 80% charge and connect it to you computer via USB. Run the downloaded RUU_PYRAMID_***HTC_Europe_3.30.401_***.exe file and follow the onscreen prompts. The process should take a while to complete, so make sure that you don’t interrupt it or disconnect your smartphone. Once done, you’ll have a fresh Android 4.0.3 install to play with. We’ve updated our HTC Sensation and while it’s really nice to be able to enjoy some of the new Ice Cream Sandwich features, like folders and the new task switcher, the included HTC Sense 3.6 doesn’t really let Android 4.0 shine through. Compared to the stock Android ICS experience, this version of Sense seems outdated. It’s still however a worthy update from Android 2.3 Gingerbread.